Circus parties are a common theme for organizers to work parties around as they are easy to recreate, generally favored by kids, can be held outdoors, and you can go-all out with your color selection. And the best part is, clowns do not have to seem out of place anymore when tied into a circus-themed party invitations. 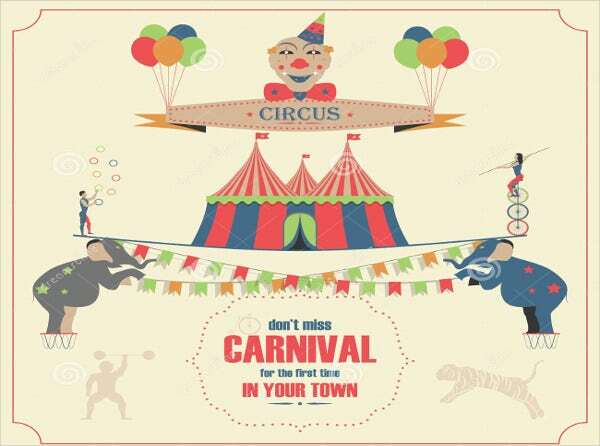 If you are about to host a themed party or are just in the market looking for ideas for your next party, we will show you why a circus theme will be perfect for you. 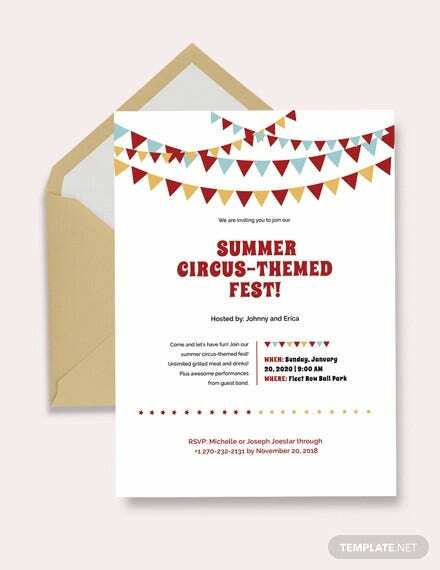 We have researched the Internet for the best themed invitation templates to suit any occasion, most specifically for circus themes on this page. Vintage Circus Invitation Template. 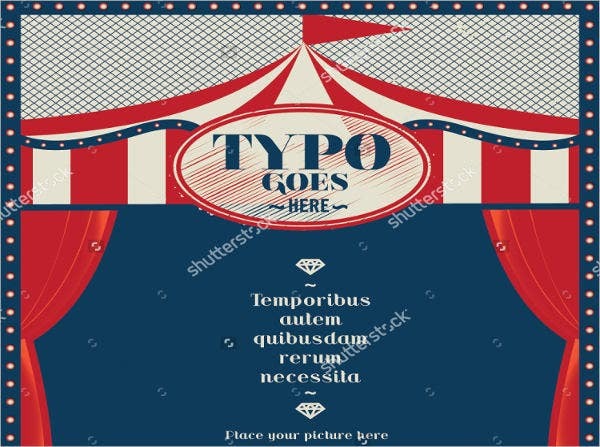 This circus invitation template is the most versatile as it can be used for any type of party and is suitable for any age group. The best part is, this template has the old school circus feel to its design. Customize this template to fit any the type of party you are having. All the templates on our site are easy to customize so you can edit in your images and texts into your invitations. 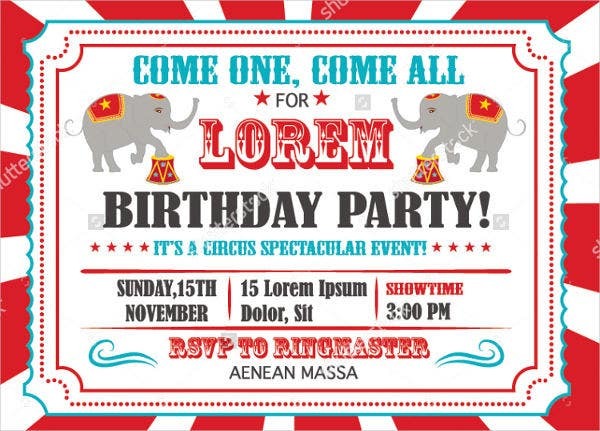 Circus Birthday Invitation Template. Birthday parties are easy to recreate nowadays, and you need the perfect invitations to match. Bring on the clowns, cotton candy, and the fanfare for the best birthday party your guests have ever been to. 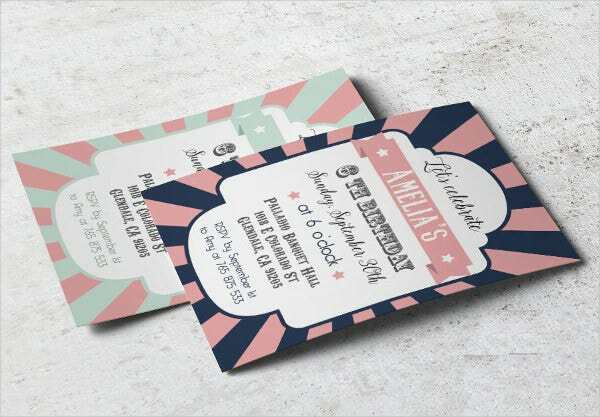 Circus Ticket Invitation Template. 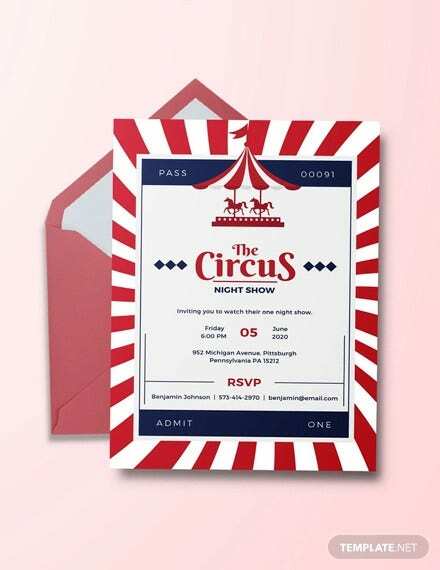 A circus ticket means that you are about to see the best event you’ll probably ever get to see, so a circus ticket as a party invitation should communicate the same with your guests! 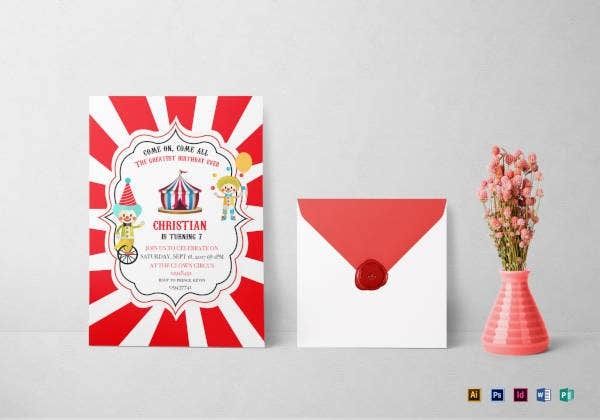 Circus Wedding Invitation Template. With some couples being daring in their wedding themes nowadays, a circus theme is sometimes utilized. 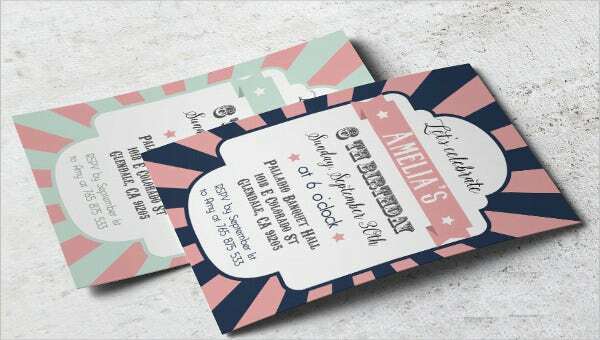 These circus wedding invitation templates will definitely work up people’s excitement for the event and communicates that they are in for an unforgettable wedding celebration. 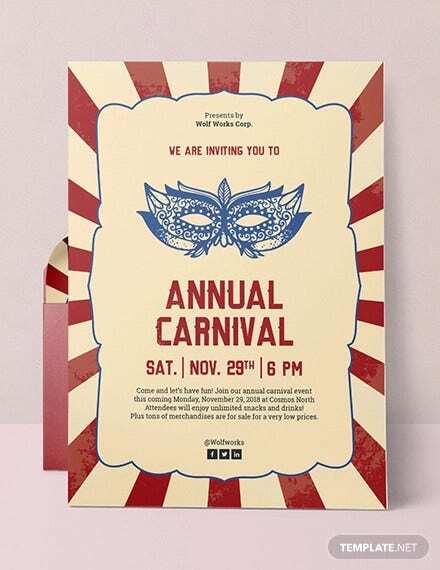 Circus Invitation Card Template. Invitation cards are a good tool to display personalized images and directly communicates to the receiver the details of the party. If you are producing this invitation from home, ensure that the material you are using is thick enough to hold its structure but thin enough to go through your home printer. 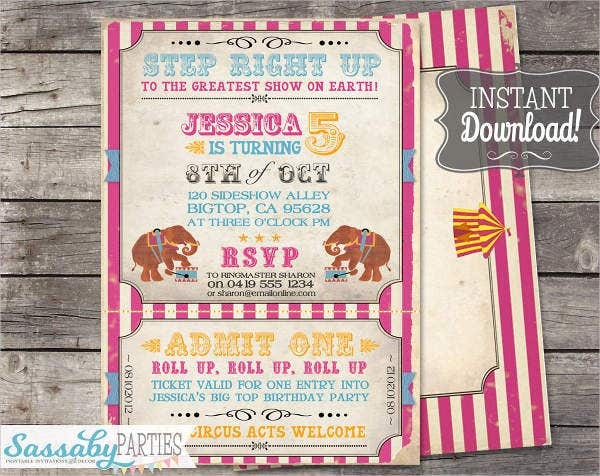 Circus Baby Shower Invitation Template. 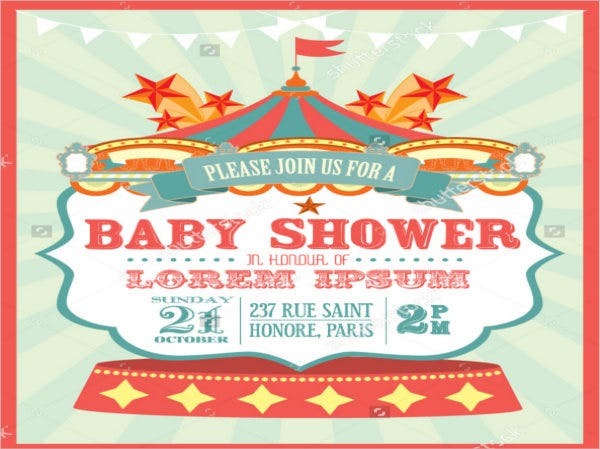 A circus theme is perfect for a gender-neutral baby shower and is good for when you want to take the party outdoors, especially in the summer. A party with this theme is also suitable if you wish to invite kids, as circus-themed parties allow for an environment where kids can play around.